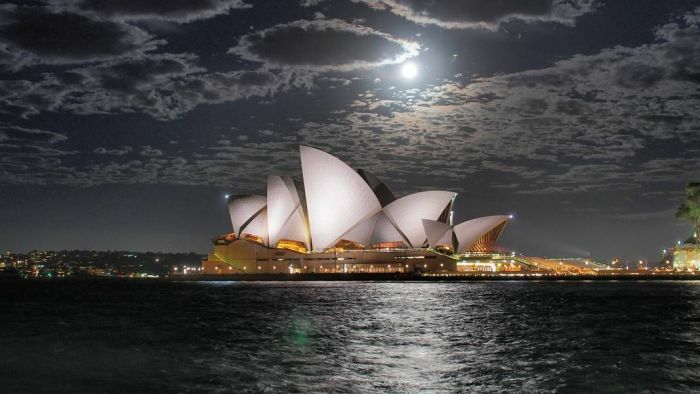 The New South Wales Government and Opera House management have come to a compromise over a controversial plan to promote a horse race on the sails of the iconic landmark. The agreement follows intense discussions between the parties and pressure from broadcaster Alan Jones, who called for Opera House chief executive Louise Herron to be sacked if she could not “come to the party”. The ABC understands Premier Gladys Berejiklian became personally involved in negotiations. It is understood the parties agreed the promotion of next Saturday’s Everest horse race would include projecting an image of the trophy, the barrier numbers and colour of the jockeys’ silks onto the Opera House sails. Ms Herron was against a proposal by Racing NSW for the barrier draw, with horse names and numbers, and a logo to appear on the iconic building. In an explosive interview with on radio 2GB, Ms Herron said she opposed the plan as it was against the organisation’s policy of protecting its World Heritage status. “We own the Opera House, do you get that message? You don’t.” Mr Jones replied. “You manage it and if you can’t give the go ahead for this to happen, to an event that’s providing $100 million to the economy, delivering a tourism boom to Sydney, to send Sydney around the world. Ms Herron said the Opera House had agreed to put the jockey’s colours on the sails. “What we won’t do is put text or video of horses running or horses numbers or names or the Everest logo on the Opera House. Racing NSW chief executive Peter Vlandys told Mr Jones colours alone on the Opera House would mean nothing. “You can’t do a barrier draw without putting the horses name and the number,” he said.